FORD will add a brand new SUV to its expanding range in late 2018, when the Ford Endura arrives as a highly equipped five-seat diesel model. 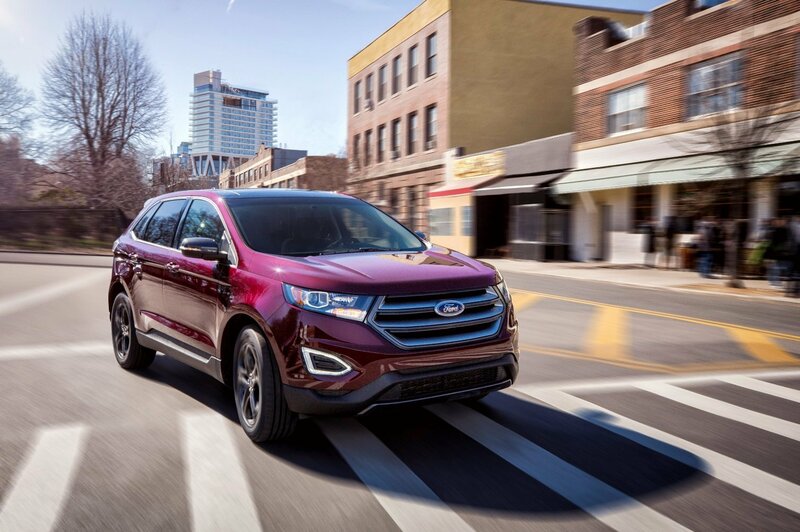 Sold overseas as the Ford Edge (with the new model Edge pictured above), the Endura will be positioned as a premium, highly equipped urban SUV offering extensive driver assist features and striking, contemporary design and styling. The Endura has been confirmed as the replacement for the no longer available Ford Territory, with the local name the result of a block from Toyota, who have used the Edge name on the RAV4 and Yaris in the past. The Endura will join the locally-engineered and designed Everest, the mid-sized Escape and the compact, urban friendly EcoSport to offer Australians a fully-fledged line-up of SUVs, with a broad depth of capability and versatility to reflect their lifestyles. It has been on the market overseas since 2015, but Ford Australia opted to hold its local introduction to ensure it picked up the mid-life cycle model launched at the start of 2018 in the US. The name is shorthand for Endurance. Symbolically, the name follows the ‘E’ SUV naming convention, with Endura itself representing strength, durability, reliability and sportiness, which are key attributes of this all-new vehicle. The new version of the Edge SUV gets a refreshed look, mechanical tweaks and a new eight-speed torque-convertor automatic transmission. Full specifications, pricing and availability to be announced closer to its launch.